A Greater Music is narrated by a Korean writer who spent an extended period in Germany several years ago. She is now in the midst of a trip back to Berlin to see an old friend, Joachim, and then housesit for him while he heads north for a few months’ work. Surrounded by a harsh, Central European winter, she spends Christmas and New Year with Joachim before settling into a calm routine of late breakfasts and walks by the lake in the park with his dog. The days spent alone give her ample time to reflect and reminisce, both on her life back in Korea and the year she spent in Berlin first time around. As the story progresses, these memories gradually come to revolve more and more around M, a former lover who provided the focal point of the narrator’s previous stay in the country. Their separation has left a void, one that the narrator hopes to fill somehow with her latest visit, but as she walks along the deserted winter streets, all she can think of, once she allows herself to, is the time the two lovers spent together. Slowly (very slowly), we learn more about who M was and why she was so special, waiting for the moment when we are told how the relationship ended. With Bae Suah living in Germany, it’s tempting to see parallels with her own life here, but A Greater Music is much more than a simple confessional piece. The shorter pieces that have appeared in English have been marked by beautiful writing, punctuated by spiky, aggressive outbursts against the strictures of modern society. Here, these themes and styles are extended over a much larger canvas; it’s a fairly slow tale, at least initially, and the story is given space to breathe before coming to life in the second half. M comes across as fragile and in need of protection, yet with the cultural gulf separating the two, there’s always a sense that their time together is fleeting. Despite their connection, a parting is inevitable. It’s unsurprising, then, that she avoids speaking the language whenever possible. As a writer, someone who needs to work with words everyday, she feels robbed of her ability to use them, regressing to the level of a complete novice. Ironically, when she does throw herself into writing in German, the result of her labours is the catalyst for tearing the young lovers apart. The title comes from a comment heard on the radio near the start of the novel, one our friend doesn’t entirely agree with. For her, there is no such thing as ‘greater music’ as there is no way of comparing something so deeply subjective. This idea isn’t restricted to music, though, and one of the ideas Bae returns to repeatedly in A Greater Music is the importance of freedom in the way you live your life. There are people in both Seoul and Berlin who insist on there being a ‘right’ way to go about things, insisting that doing what others do is normal. Joachim is the chief culprit here, unable to see any point to existence beyond money, success and friends (coming across as sullen, mean and whiny in the process). When M splashes out on concert tickets, he decides that she must be incredibly wealthy. This isn’t the case, but Joachim can’t conceive of someone prioritising music over food (or alcohol…). Unlike her protagonist Bae has few issues with the German language, spending part of her time translating German literature into Korean. One of the authors she has worked on is W.G. Sebald, and it isn’t hard to see Sebaldian influences on her own writing, particularly in the way her main character spends her time simply walking and thinking. Much of the novel consists of beautiful scenes in the snow, the woman passing slowly through parks or taking long tram rides. With little sunshine, the dark nights and rainy days are full of clouds, both literal and metaphorical, and while there are people around, for the most part they’re seen from the outside, lending the story an air of isolation. Bae never allows the demand for a narrative to interrupt this mood; even when we’re plunged into a near drowning, there’s never any sense of a hurry to resolve matters. Lucky you – I subscribe to Open Letter titles & my copy is yet to land on the doorstop . Tony – I think it’s published early next week, so it may be on its way as we speak (I hope so, anyway!). 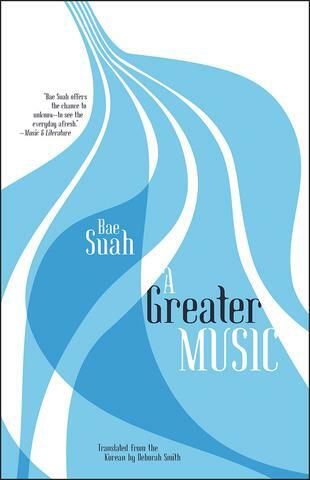 I haven’t read Bae Suah yet but I plan to get this – looking forward it.